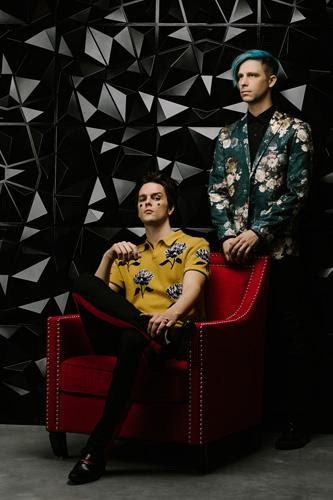 LOS ANGELES, CA – (October 12, 2018) — Dallon Weekes, the former Panic! At The Disco bassist, and drummer Ryan Seaman will see 1981 Extended Play, the debut release from their once and future band, I Dont Know How But They Found Me (iDKHOW), in-stores on November 9 (Fearless Records). The EP’s six-tracks were produced, written or co-written by Weekes, and recorded at various locations in Utah and California. Sonically, the songs are from a time when fashions were loud, melodies were infectious and iconoclastic pop trailblazers broke through commercially without compromising artistically. Pre-orders for the EP can be placed HERE.